After the controversy regarding the bursting of Samsung Note 7 Smartphones, the South Korean multinational is all set to regain their space in the technical realm with the addition of new models to Notebook 9 series. The fresh new models with Intel Kaby Lake chips are dense to date. 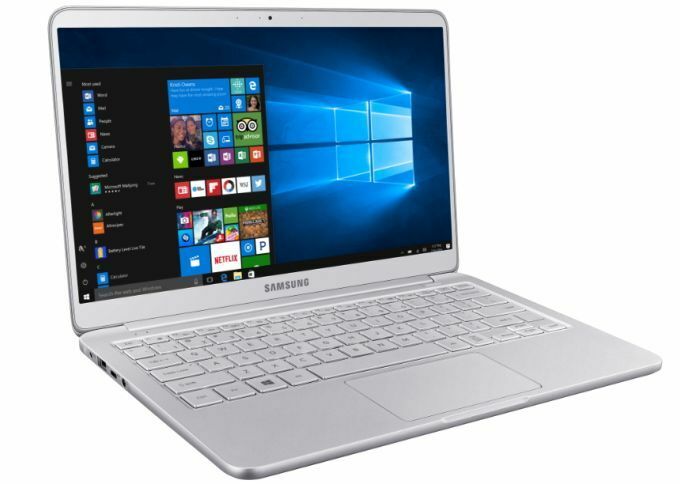 The new Samsung Notebook 9 with 13.3 inch display measures to about 0.55 inches thick and 1.8 pounds weight. It is available with Intel Core i5/ Core i7 Kaby Lake chips. It supports 8GB RAM for Core i5 and 16GB of RAM for Core i7. It possesses up to 256GB of SATA 3 solid state storage. It has 2 USB ports and 1 USB Type-C port. Other features include HDMI, MicroSD and Headset jack. When it comes to the new Samsung Notebook 9 with 15 inch model measures 0.59 inches thick and weighs less than 2.2 pounds. It is available with Intel Core i7 Kaby Lake CPU. It supports 8GB of DDR4 RAM. It possesses up to 256GB of PCle NVMe Solid state storage. It has 2 USB ports and 1 USB Type-C port. It also features HDMI, MicroSD and Headset jack. Both these laptop feature 1920*1080 pixel IPS displays, 802.11ac WiFi, Bluetooth and stereo 1.5 watt speakers. Both possess 30 Wh batteries with fast charging support. But they won’t get the battery life alike from a model with robust battery. You will be able to charge your laptop fully within 80 minutes as per the claims of Samsung or will get a 2 hours of run time from a 20 minute charge. Both the laptops feature backlit keyboards, built-in fingerprint sensors and Windows Hello Support and 720p webcams.